Nick Cohen is a columnist for the Observer. He does occasional pieces for many other publications, including Standpoint and New Humanist. What’s Left? the story of how the liberal-Left of the 20th century ended up supporting the far Right of the 21st was published in 2007. His latest book, You Can’t Read This Book was published in 2013.
Who is Tuvia Tenenbom, alias Tobi the German, the Bnei Brak-born gonzo journalist who goes where others fear to tread? Everywhere Tobi ventures he encounters anti-Israel sentiment or self-hating Jews. 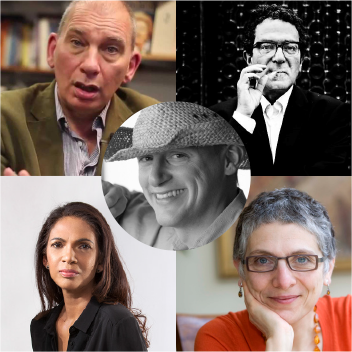 Chaired by journalist Nick Cohen.